I suggest the photo is from 1942. 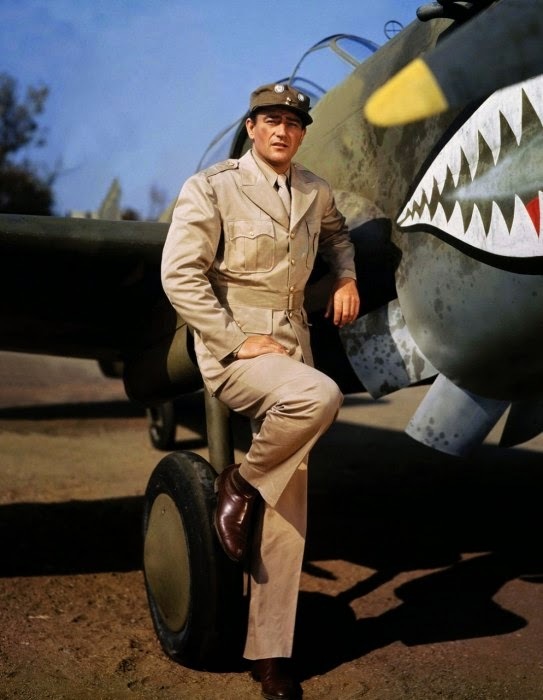 Wayne starred in a Republic Pictures film titled The Flying Tigers released that year. His uniform and the aircraft fit that year and context perfectly.